Hebcal recently added support for Sigd, which is a modern holiday observed in the state of Israel beginning in 2008. 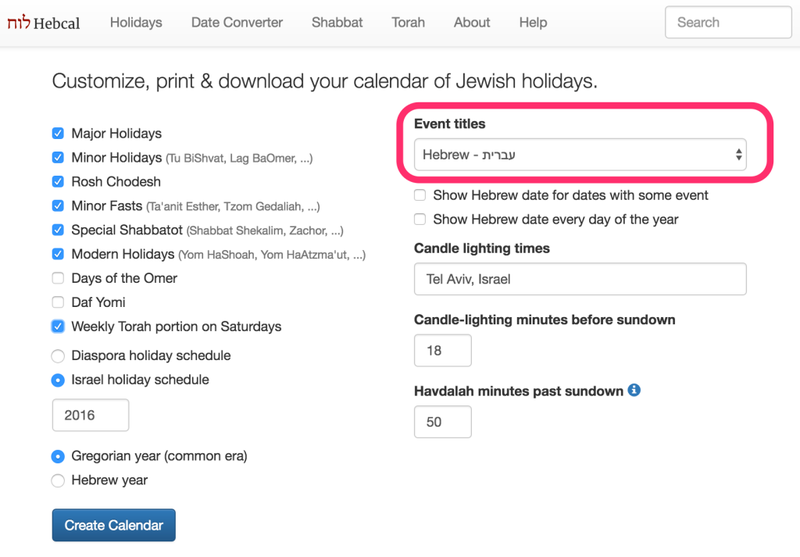 If you enabled the modern holidays feature in Hebcal, you’ll see an event for Sigd this year. Sigd begins at sundown on Tue, 10 November 2015. Hebcal.com was primarily authored using hand-coded HTML5, PHP and Perl in Sublime Text 3 and Aquamacs. Our minimalist, responsive design is provided by the Bootstrap framework. The website runs on Apache HTTP Server on Ubuntu Linux. We use the Varnish HTTP accelerator and Pound for HTTPS (TSL/SSL) termination. We primarily use DigitalOcean and Netkine for hosting, with occasional use of Amazon Web Services (primarily SES for weekly emails and S3 for backups). Static pages are generated with GNU make and scheduled by Vixie Cron. Our Help pages and news archives are powered by WordPress. We use MySQL to store our email subscriber database, and SQLite for latitude/longitude location databases (GeoNames and USA ZIP codes). Hebrew body and headline text is Alef Hebrew. The Hebcal logo uses SBL Hebrew and Merriweather.